The thought of a kitchen makeover may seem very daunting. The vision of the busiest spot in your home being torn apart with no flooring, cabinets off their hinges and mounds of sawdust probably has you reeling. Before you simply put the thought of a kitchen makeover out of your mind, there are several ways to transform your kitchen inexpensively and without the backbreaking mess usually associated with such a change. One quick and easy way to instantly add some “oomph” to a space is to add an accent wall. Choose a bright and bold color near the entry to create a warm welcome. Not only will it add excitement to your kitchen space, it will create an instant color scheme to build the rest of the room around with your decorating. Another inexpensive way to amp up the style of your kitchen for cheap is to spice up your backsplash with new tile. Easy-to-use peel and stick tile is available at most home improvement retailers and offers a chance to add a bold pattern, modern metallic finish, or subtle color in a snap. 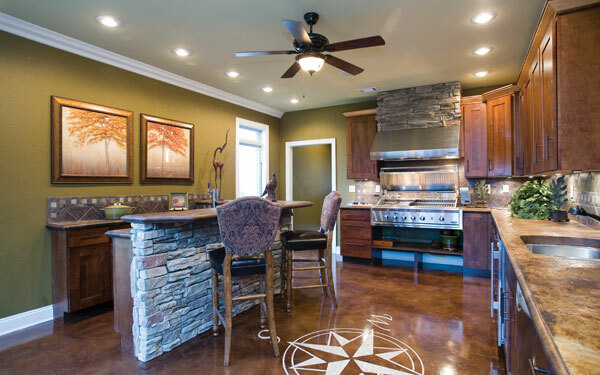 Tile is an easy inexpensive way to alter the look of your kitchen and it’s very user-friendly. Most homeowners feel they can handle the installation of this project without hiring a professional. 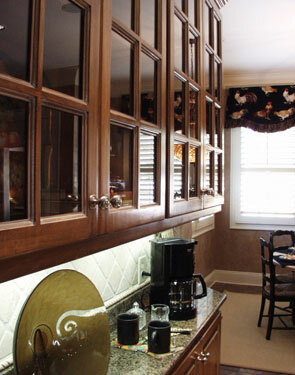 Adding glass fronts to your cabinets not only adds dimension to your kitchen but it creates a whole new look to the space. Painting the cabinets is also a thought that might make most homeowners cringe when they think about it, but it instantly revives a space. 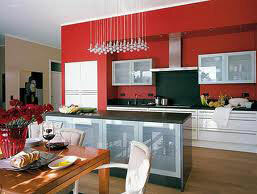 Paint is inexpensive and offers a quick alternative to all new cabinetry. So before you begin tearing out your old cabinets, seriously consider painting the exterior. If painting is too intimidating, then try replacing your cabinet hardware and give them a new look that way. Relatively inexpensive, this easy fix will overhaul a dated kitchen in no time at all. Maybe your appliances are looking a bit tired. They still work just fine, but they look a bit dated. You aren’t necessarily ready to invest in new appliances either. Consider ordering new doors or face panels for your appliances from the manufacturer. Also, many dishwasher panels are white and black on the other side. It can also be as easy as removing a couple of screws and flipping the panel over. Suddenly the appliance will have a whole new fresh look. Most kitchen spaces are comprised of many hard surfaces from countertops to flooring, so fabric doesn’t typically come to mind right away. 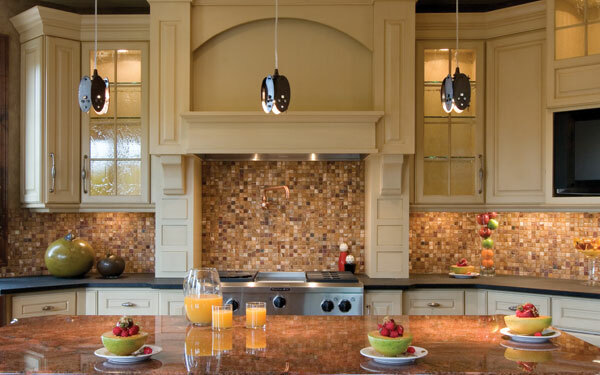 But, many kitchens today include breakfast bar areas where barstools offer a spot for casual dining. Reupholstering the seat or adding padded cushions in a new exciting print can instantly create new visual interest with little investment. One more easy and economical way to take your kitchen’s style to the next level is adding crown molding to the space. Simply paint the pieces to match your décor and use a nail gun to hang them at the wall-ceiling seam. This do-it-yourself project should only take an afternoon at the most, but the added degree of style will make your kitchen “hotter” than it ever was before! 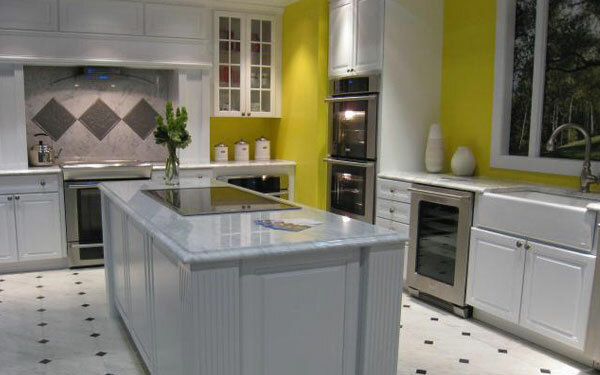 Implementing one or all of these suggestions not only will transform your kitchen, but it will update its look in an economically responsible way that will leave your kitchen full of style with lots of bang for the buck. Turn this high-traffic space into a place that breathes new life with these simple tips.